Made with 3 reels and 9 paylines, Wizard of Oz Road to Emerald City is an online slot which has been created by WMS. Want to try out the game? Enjoy it now at Vegas Spins on either a tablet, a laptop or a mobile phone! You will find an array of bonuses such as free spins, multipliers and cash prizes on the reels of this online slot. Wizard of Oz logo, Emerald City, Red 7s, Triple Bards, Double Bars, Bars, Multipliers and characters from the book are the symbols you will find on this game. Start spinning the reels after having placed your stake! Bet Levels:There are no bet levels available on this game. Amount of Paylines Selection: The 9 paylines are fixed and cannot be altered. Coin Values: The minimum stake is of £0.35 while the highest is of £70.00. The scatter symbol is represented by the emerald on the reels of this game. When 3 such symbols are seen in any position on the game, you are offered a series of bonus rounds to select from. And, when 4 such symbols land on the reels, you are offered a cash prize and 3x multiplier. The bonuses you can choose from are: Glinda the Good Witch, Toto Emerald Trail, Wicked Witch Free Spins, Scarecrow Prizes, The Man Winning Spin, Dorothy Free Spins and Cowardly Lion Multipliers. 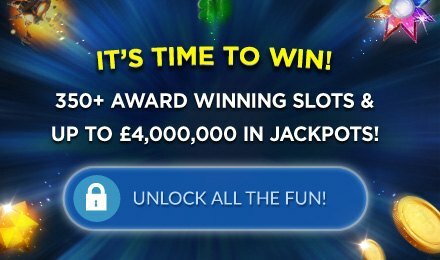 From these bonuses, you can win up to 25x multipliers, up to 20 free spins and other amazing prizes. Want to discover the game? Launch it at Vegas Spins now!